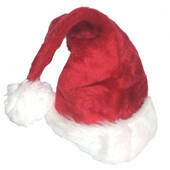 The plush reindeer antlers are a great addition to any Santa's helper costume. 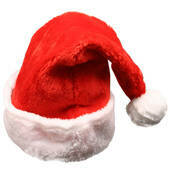 Dress up as Rudolph the red nose reindeer with these classic plush reindeer antlers. 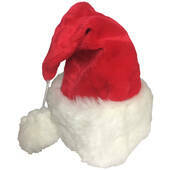 The plush antlers also work great as moose or deer antlers. The more the merrier with these great reindeer antlers. 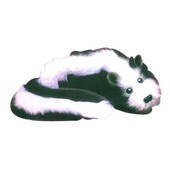 This Plush Spring Skunk is surprisingly cute! There's a spring inside the toy that makes it jump. 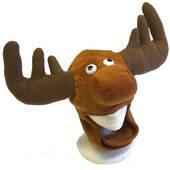 This Brown Plush Moose Hat makes for a simple yet humorous costume. 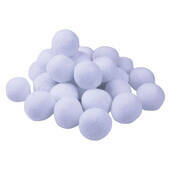 Pair it with some brown clothing for a quick solution to your upcoming costume party. 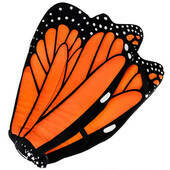 These Plush Monarch Butterfly Wings make a fantastic costume. 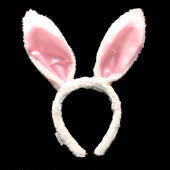 They're so fun to wear you may not want to take them off! 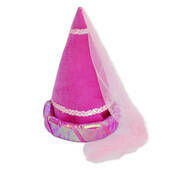 Get this great new princess hat, one of the nicest princess cone hats that we have seen in many years. This princess hennin hat is a great addition to any princess Halloween costume. No king can go without his crown, this purple kings crown is designed for a king, with jewels running up the crown to the gold ball on top, a large purple jewel on the front and a spotted trim. This king crown is fit for any homecoming king or medieval king. 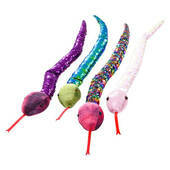 This Plush Snake With Reversible Sequins comes in a variety of cheerful colors. It's an excellent party favor idea for your child's animal-themed party. 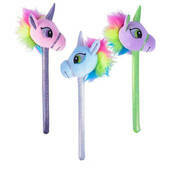 Mini Plush Stick Unicorn - 12"
The Mini Plush Stick Unicorn is perfect for puppet shows. 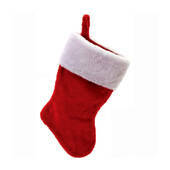 It also makes an adorable party favor for a child's birthday party. 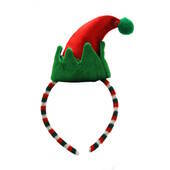 …Santa's little helper with this fun Elf headband. 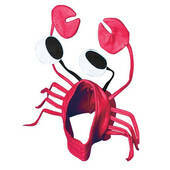 The headband is well made and fits most adults. 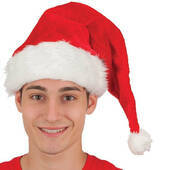 The elf hat on top of the head band is a soft plush material while the headband is wrapped with a soft knit material. 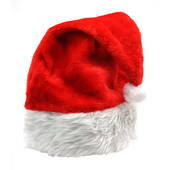 This hat is great for both men and women and matches virtually any Christmas outfit.